But this book, Through Indigo’s Eyes really is like a how-to book. After all, it is basically a true story – like a biography. That means I can learn something while reading it. So it is okay. I know, that is a backwards way of looking at it, but I think it justifies why I really like it! First of all, the story is very well defined. You can imagine where Indigo Russell lives, what her friends look like, how she feels – really feels about stuff in general, but especially about being psychic. Yes, Indigo is psychic, and has been for most of her life. 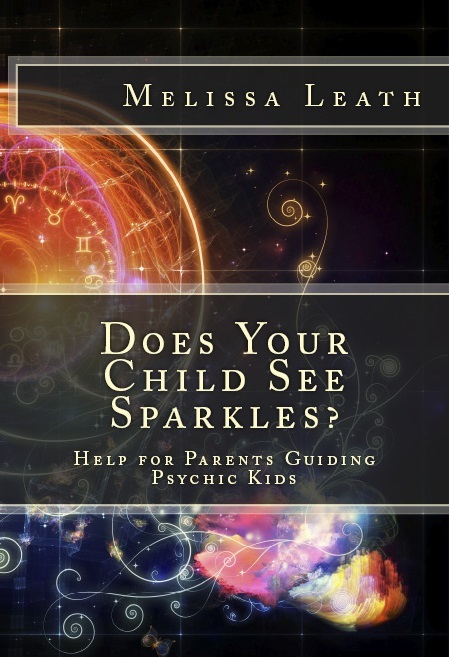 Many children these days are psychic, and have no idea what to do about it, how to handle the intense information, visits, or visions they receive. So these kids could really relate to Indigo’s story. It mostly takes place during her high school years, but has many back flashes of her earlier years when nothing really made sense, and she tried to quiet the voices in her head. Then the unthinkable happened: Indigo had a vision of her best friend. Actually, it was her friend’s boyfriend with another girl! How could she tell her friend what she saw? Should she tell her? Maybe it wasn’t true. (But she knew from experience that all her visions came true.) Here we have the opportunity to look at how to deal with visions and psychic information. Indigo Russell’s story is one that so many teens and young adults can associate with. She is very empathic and feels everything – all the experiences that someone else feels. Only, it also makes her sick to her stomach. She doesn’t know how to protect herself from it, or to turn it off when she needs to. Her spirit guides and loved ones in the spirit world try to help her through it all, by speaking to her in her head. But Indigo has a difficult time accepting their help, or all the things she sees in in her mind’s eye about the future. NOTICE: this book deals with thoughts of suicide, and parents should review it themselves before allowing their younger children to read it. The story also addresses other teenage situations such as lies, jealousy, and being misunderstood. It is a very intense read and once you pick it up, you cannot put it down, so make sure you have time to give to it. Parents of tween-agers and teens will especially appreciate this book. It will help them understand what their child might be going through or experiencing. And I am sure teenagers will really love this book. In fact I am going to send a copy to my teenage great-nephew right now! There has been so much talk about life after death lately. I caught just a short blurb on CNN news this morning about a doctor who shared his experiences in a near death experience. He said he had always been Christian in name only, but this experience helped him relate to a more spiritual understanding. (Many people these days are opening up to a broader understanding of life and death that is not limited to religion.) He witnessed a revelation of warmth and love that he felt could only be the Divine. The way I recognize the process of life after death at this time, as my spirit guides have given me, is that the White Light that one sees during a near death experience is similar to what everyone has when they are in the process of passing, which the physical body and brain understand. At this point, there may be a turn around response, and the spirit does not detach from the body. The person returns to the living. But when the body truly “gives up the ghost,” the spirit completely detaches from the body, and makes the full transition called death, then a full life review and clearing takes place. This completes the passing process. I thought it would be great to share a passage of my book Psychic Integrity, The Respected Practice of Modern Day Mystics. It is posted in the book’s blog called “Psychics, Mystics and Integrity”. Click here for the link to that post. I know you can relate to it. Please share any of your comments, or stories of near death experience. You can receive a FREE downloadable copy of Outrageous Living, Tips & Secrets to Thriving in the 21st Century by Charles and Melissa Leath! Just go to Melissa’s Website–Here and sign up for the monthly newsletter.